Ogrodzieniec Castle can be visited individually, following the marked path of sightseeing or in the company of a guide. To book a guide, simply complete the simple form. Welcome to the official website of the Ogrodzieniec Castle! The land between Cracow and Częstochowa, often called the Cracow – Częstochowa Upland, is certainly one of the most beautiful places in Poland and quite understandably a cradle of the domestic culture as well. All these picturesque Silesian castles are a decoy for the tourists wanting to feel like their ancestors from the past ages, even if for a while only. 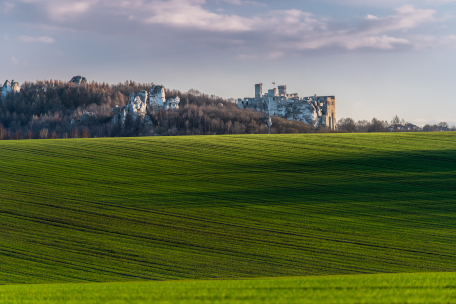 Therefore, we are so delighted to take you on a journey into the fascinating, and not fully understood world of the castle ruins in the village called Podzamcze. The history of Ogrodzieniec dates back to the 14th century. As you may assume, the castle was a silent witness to many grand events in history such as the Swedish Deluge, and even played vital roles in films or TV series, like for example ”Janosik” or “Revenge” by Andrzej Wajda. Exploring the castle will not only teach you about the meaningful past but also provide you with lots of attractions. We can organize all kinds of events for schools, companies and individual tourists. And the Podzamcze Village is famous for its ground-breaking knight shows, held in the spring – autumn season on every Sunday. Furthermore, you should definitely visit the nearby mountain called Birów where the recently reconstructed Royal Stronghold is located. The easy and comfortable arrival, airports located in the close vicinity of the castle - in Pyrzowice and Balice (approx. 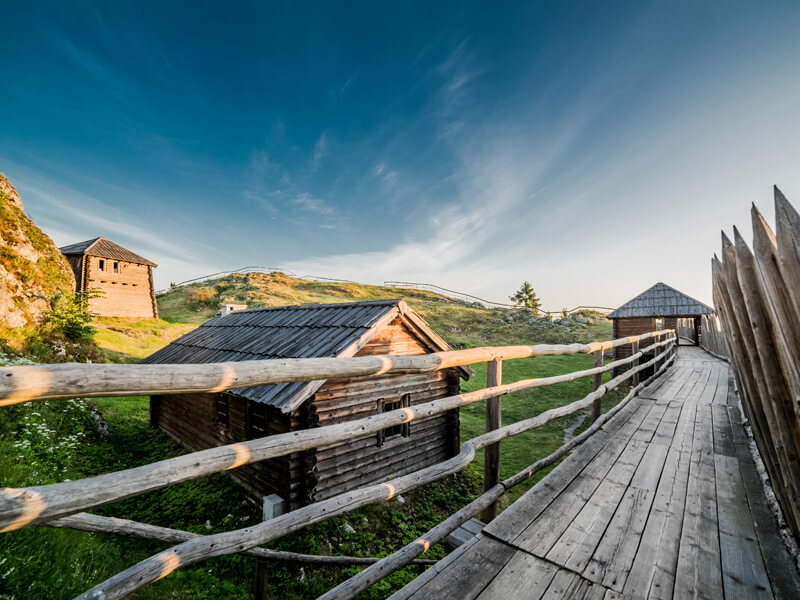 35 – 60 km away from Ogrodzieniec) - will make your visit to this place even more appealing. The castle is just within your reach! For details, please check given subpages. And if you have questions or doubts, don’t hesitate to drop us a line! The Ogrodzieniec Ruins are at your full disposal! Witamy na stronie internetowej Zamku Ogrodzieniec. Zachęcamy do zwiedzania zamku, uczestniczenia w imprezach i pokazach rycerskich. Gwarantujemy moc wrażeń. I hereby agree for processing my personal data by the "ZAMEK" Sp. z o.o. with its seat in Ogrodzieniec for the purpose of providing answers to my questions.